The massive hacking attack against Sony Pictures Entertainment has yet exposed about 200 gigabytes of confidential data belonging to the company from upcoming movie scripts to sensitive employees data, celebrities phone numbers and their travel aliases, and also the high-quality versions of five newest films, marking it as the most severe hack in the History. Now, the so-called "Guardians of Peace" (GoP) group who promised to release a big "Christmas gift" for Sony Pictures posted an eighth batch of documents to the Internet on Tuesday of what everyone in Hollywood has been waiting for — Thousands of personal emails stolen from Sony Pictures co-Chairman and CEO Michael Lynton. The personal emails released just one day after Michael Lynton convened a town-hall meeting for Sony employees in the wake of the company’s widespread data breach and proclaimed, "Our business has a strong foundation… This won’t take us down." Along with Linton’s emails, the hackers posted a disturbing warning to people who plans to watch the Sony Pictures film "The Interview" — the Seth Rogen and James Franco-starring comedy centered around a TV host and his producer assassinating North Korean dictator Kim Jong Un, which first appeared to be the root cause of the cyber mishap. "We have already promised a Christmas gift to you. We will clearly show it to you at the very time and places "The Interview" be shown, including the premiere, how bitter fate those who seek fun in terror should be doomed to. Soon all the world will see what an awful movie Sony Pictures Entertainment has made. All the world will denounce the SONY." Two weeks ago when GoP group send a threatening email to Sony executives, they didn’t even ask the company to cancel the release of The Interview movie. The torrent file for the leaked document has already been removed from a number of file sharing sites after legal demands from Sony. Meanwhile, Sony has also sent letters to a number of media outlets insisting to not publish confidential data from the leaks. "We are writing to ensure that you are aware that SPE does not consent to your possession, review, copying, dissemination, publication, uploading, downloading, or making any use of the Stolen Information, and to request your cooperation in destroying the Stolen Information," the letter reads. So far the Guardians of Peace group released eight leaks of Sony internal data, which began on Nov. 24. 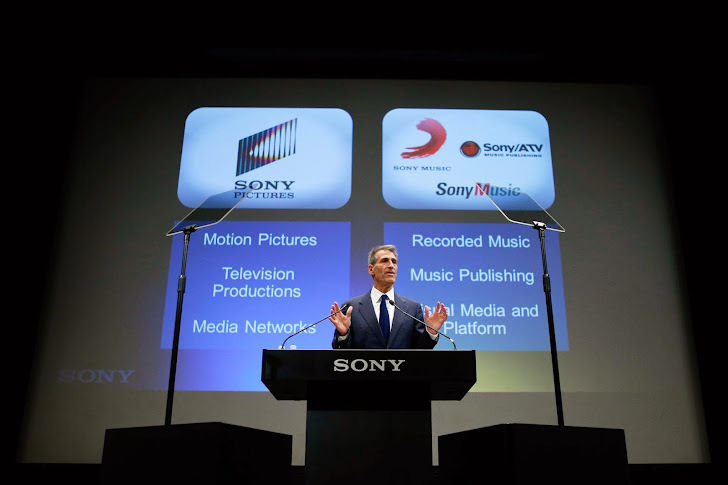 The leaks included everything from employee Social Security numbers and their salaries to the private emails of Amy Pascal, co-chairman of Sony Pictures Entertainment; Leah Weil, general counsel for SPE; Steve Mosko, president of Sony Pictures Televsion; Steven O’Dell, president of Sony Pictures Releasing International; and now the company’s CEO Michael Lynton. The contents of emails belonging to Sony Pictures’ Amy Pascal exposed confidential company documents and embarrassing messages about Hollywood celebrities including Angelina Jolie and Screen Gems star Kevin Hart, and a damaging exchange about President Obama between Pascal and movie producer Scott Rudin (The Social Network).